Nepal's Ministery of Finance prepares in full swing to propose Rs. 1,500b budget - Integration Through Media ....! KATHMANDU: Nepal’s Ministry of Finance preparations are now underway to introduce a budget of Rs. 1,500 billion for the next fiscal year, said the officials at the National Planning Commission (NPC). Work to prepare the budget for the upcoming fiscal year is now moving in full swing, they said. All ministries are now busy preparing the new budget with programmes based on the budget ceiling given to them by the NPC. The NPC has already fixed the budget ceiling to all the ministries based on their work performance, sectoral needs and their requirement and the country’s resources. The NPC had fixed the ceiling of budget around of Rs. 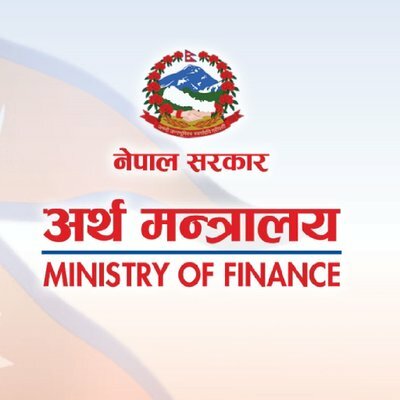 1,500 billion for fiscal 2019-20 by analysing the available resources and programmes and planning received from all ministries and other government bodies, said NPC member Dr. Krishna Prasad Oli. The budget of the next fiscal year is likely to increase by about Rs. 200 billion as compared to the budget of the current fiscal year. Although the government had introduced the budget of Rs. 1,315.16 billion for the current fiscal year in the beginning, later it was reduced to Rs. 1,299 billion during its mid-term review. According to Dr. Oli, the budget ceiling may vary after holding discussions among the ministries and other government bodies if they demand more budgets to run additional national pride projects and construct infrastructure. He said that the NPC had fixed the ceiling of budget considering the increasing revenue collection, demand from the different ministries and budget spending capacity of the ministries. “In the new budget, we will not allocate budget to the sick projects, which cannot be pushed forward. We will allocate budget with priority to those projects which have potential and help make the economy vibrant,” he said. He said that the NPC had informed all the ministries and government bodies about the maximum amount of their budget allocation and asked them to prepare their programmes accordingly. The Ministry of Finance is preparing the budget making schedules based on the guidelines and the budget ceiling fixed by the NPC to introduce the new budget on May 29, 2019 as per the provision of the Constitution, said Uttar Kumar Khatri, spokesman at the Ministry of Finance. “Various committees, including the revenue advisory committee and budget preparation and facilitation committee, in the participation of the high level officials of the Ministry of Finance and representatives of other concerned authority have been formed to prepare the budget by incorporating the suggestions provided by the concerned stakeholders,” he said. Representatives from Confederation of Nepalese Industries (CNI), Federation of Nepalese Chambers of Commerce and Industry are in the Revenue Advisory Committee where the committee will collect suggestion from the common people, government institutions and concerned authority for formulating policies and programmes and annual budget of the nation, he said. Issuing a notice, the Committee requested the concerned organisations, government entities, intellectuals and others to provide their suggestions by April 28, this year.